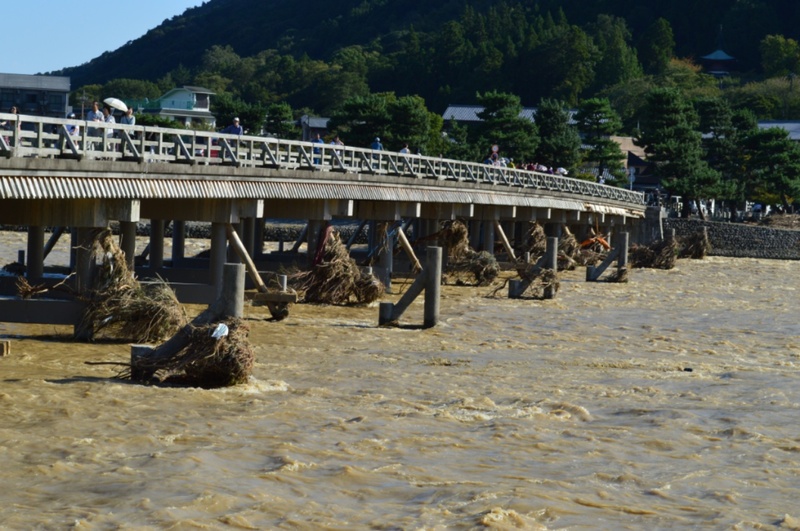 The southern part of Arashiyama was greatly affected by the flooding caused by the typhoon a day before our arrival. 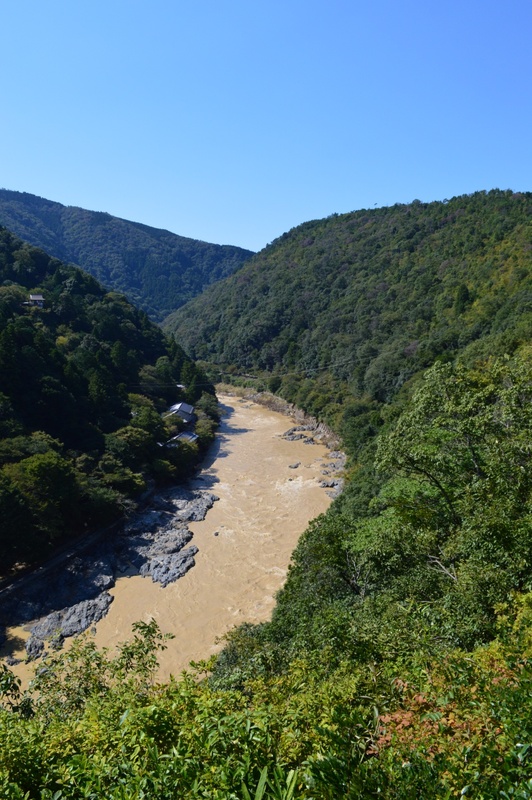 This made the Hozu-gawa river look more like Ganges than a clean and beautiful river. However, the people working and living around the river all worked hard to restore everything. Our landlord, Rico-san told us that it would probably take about a month before everything was back to normal. 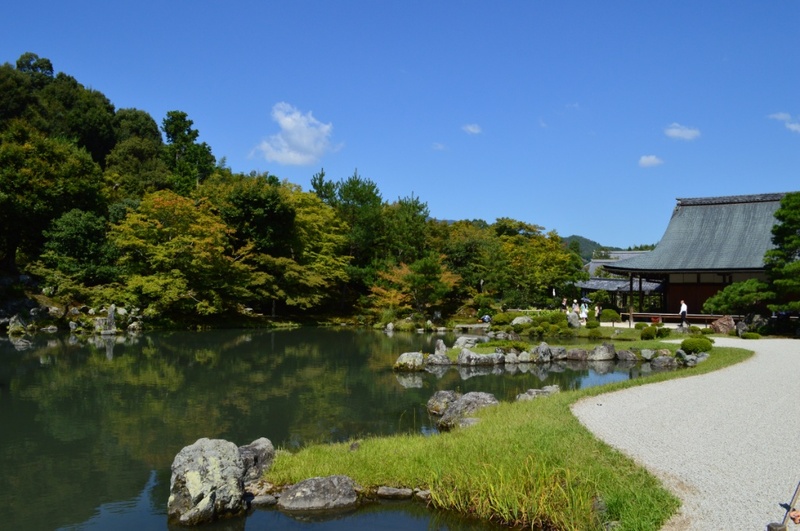 The first stop on our tour of Arashiyama was the Tenryu temple. To begin with, we visited the dharma Hall which had a very cool painting in the ceiling picturing a huge Cloud-dragon. Because one of the dragon’s eyes was painted right in the centre of the large circle surrounding the dragon, it looked like it was looking right at you wherever you were in the room. After the dragon painting, we went for a stroll in the beautiful garden. 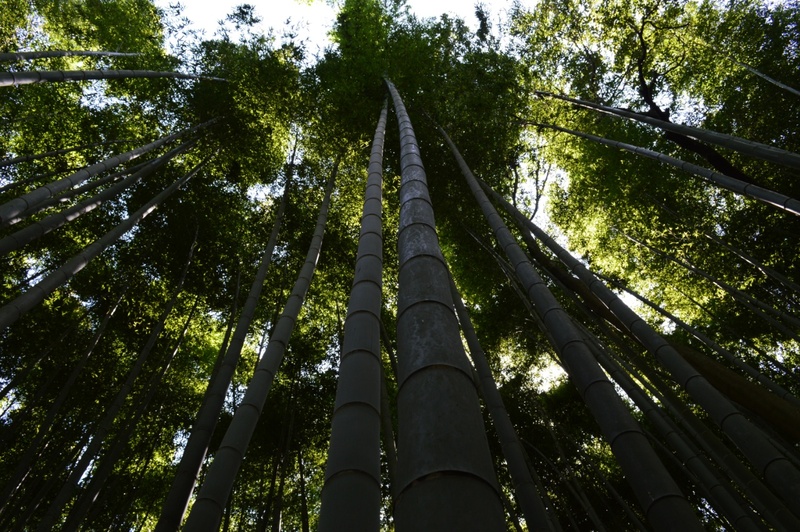 Exiting the Tenryu garden, we found ourselves in a bamboo forest. 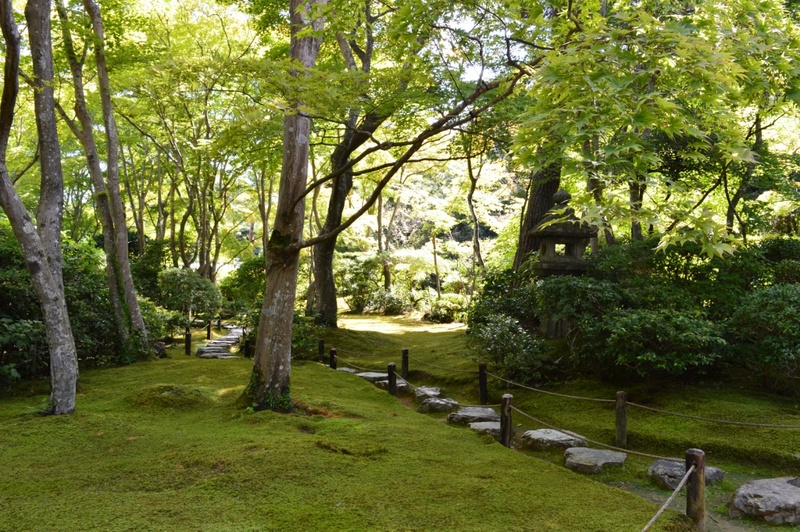 After the bamboo forest, we paid a visit to the garden of the famous samurai actor Okochi Sanso. Apparently, he wasn’t a samurai that also did some acting but an actor playing the role of a samurai. 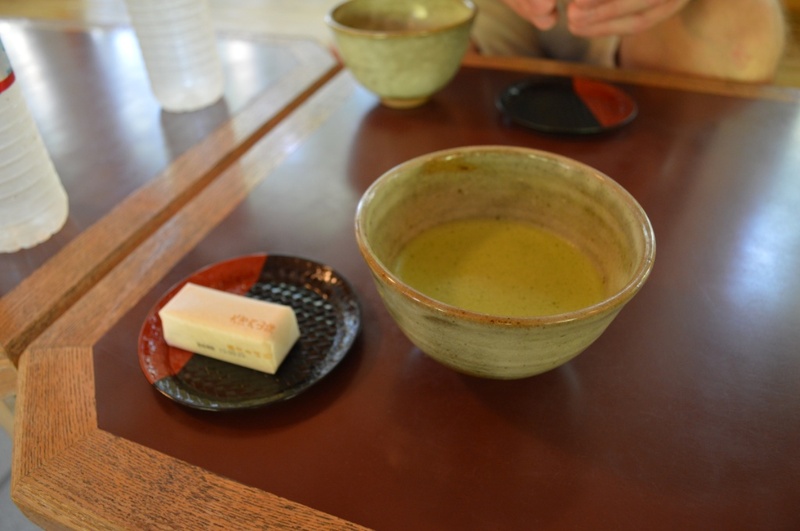 His garden was absolutely gorgeous and the entry fee also covered a cup of matcha + sweet, yum! After the garden, we went to look for monkeys in the nearby park. 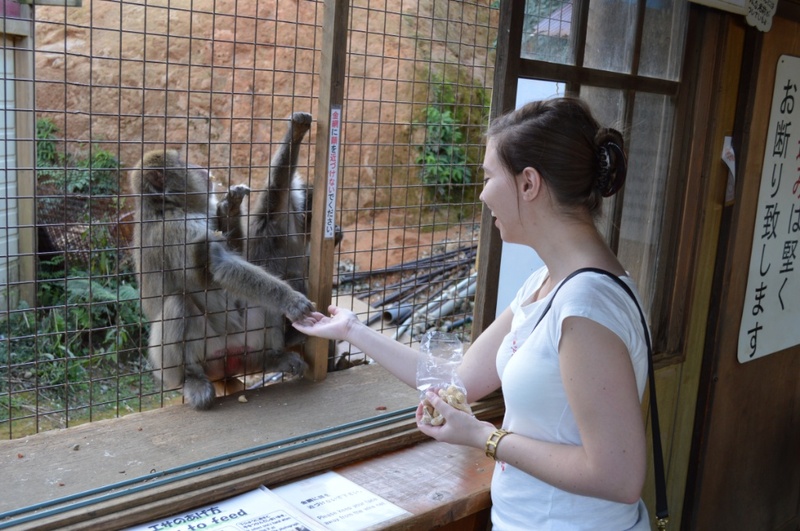 Unsuccessful in our search, we resorted to the backup plan, namely visiting the Arashiyama Monkey Park. 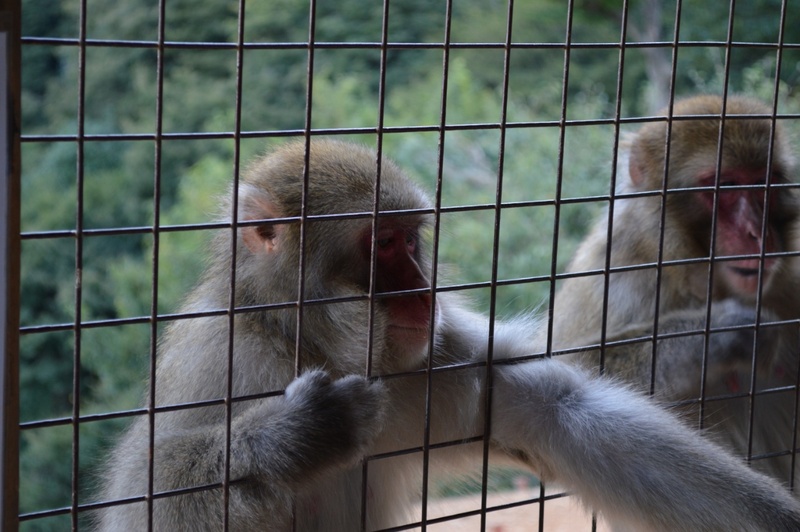 It’s home to around 200 japanese snow monkeys and for ¥500 we entered the park and climbed the monkey mountain. At the top, we even got to feed them! 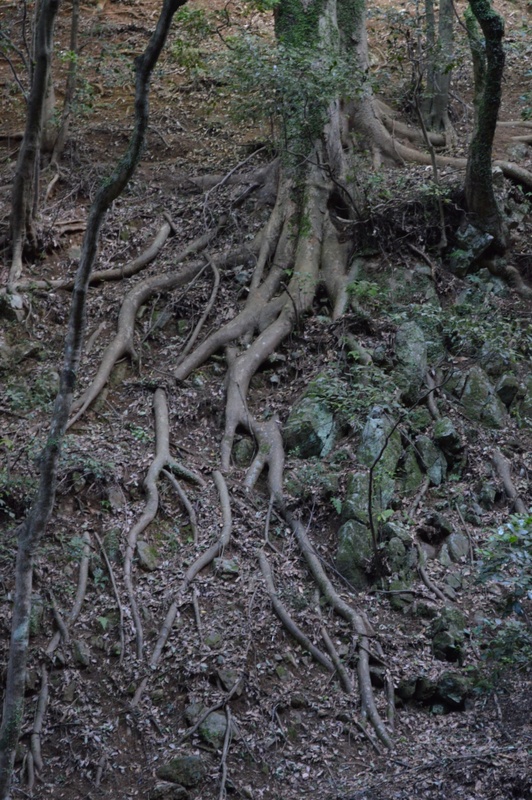 Cool tree on our way up the mountain. The roots were huge! 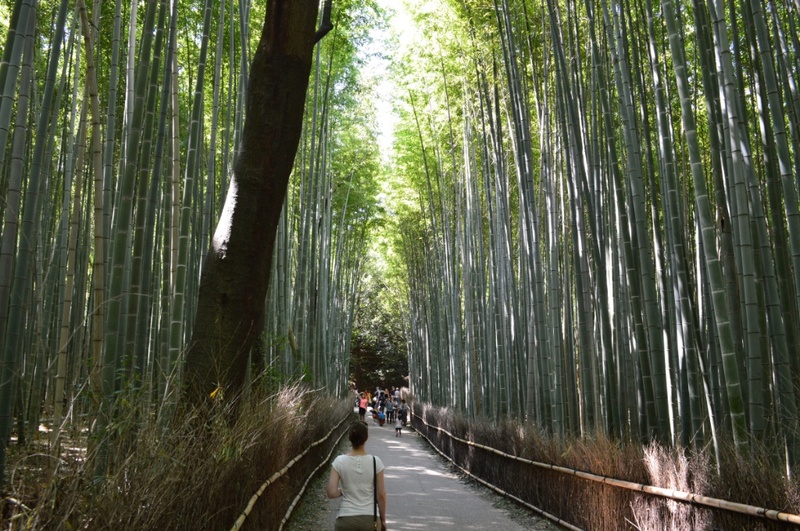 Categories: Japan, Travels | Tags: Arashiyama, Japan, Japanese snow monkey, Kyoto, Tenryu-ji | Permalink.